This week Kylie Jenner and Kendall Jenner were at London's Wireless Festival, J. Cole was in the studio with Dr. Dre, while Skepta was spotted with Mick Jagger. 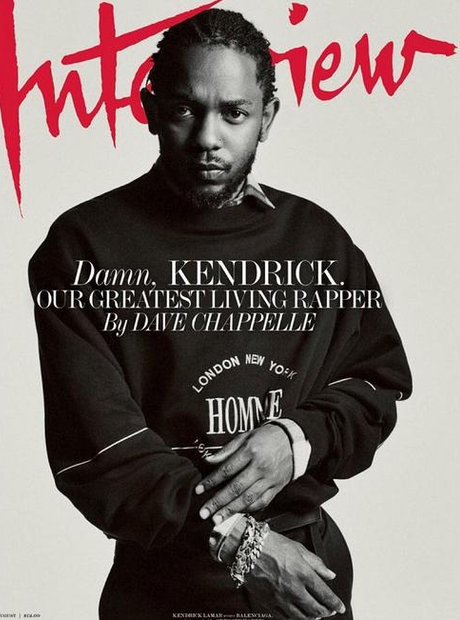 Kendrick Lamar talks about his goals and perspective as he's interviewed by Dave Chappelle for Interview magazine. "The best thing I did was go back to the city of Compton, to touch the people who I grew up with and tell them the stories of the people I met around the world." 3. Beyonce posts the first picture of her twins! Rumi and Sir Carter, the names of her and JAY-Z's twins, appeared with Beyonce in a lavish picture she posted on Instagram. Wiz Khalifa acknowledged his supporters after 'See You Again' became the most viewed video in Youtube history with more than 2,900,000,000 views! 6. Rihanna is re-releasing her popular fur slides in a range of new colours! 8. Skepta was at Wiz Kid's album listening party in London. The pair have collaborated in songs in the past, including his 'Ojuelegba' remix alongside Drake. 9. Chris Brown showed off his extreme wealth. 11. Big Sean paid tribute to his mother on Instagram. 13. Skepta teased something very special with Rolling Stones legend Mick Jagger. 14. Kylie Jenner, Kendall Jenner and Bella Hadid were spotted at Wireless Festival. 17. DJ Khaled is celebrating the success of his new album 'Grateful' in style. 19. J. Cole kicked off his '4 Your Eyez Only' arena tour in dramatic fashion. 20. Stormzy is ready to kick off his Ibiza festival.